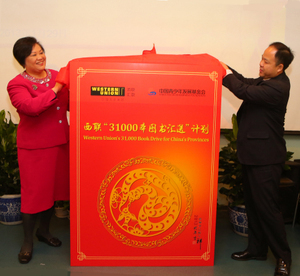 Western Union has launched a Chinese New Year cause marketing campaign with the goal of gifting the China Youth Development Foundation 31 libraries of 1,000 books, enough for each of mainland China’s 31 provinces. For every transaction sent from one of 21 countries to China between January 28 and February 10, Western Union will donate $.25, up to $50,220 (the cost of funding 31 libraries of 1,000 books each). A donation of $.25 will also be made for every program announcement retweet and “Like” of its post about the campaign. This cause marketing campaign is part of Western Union’s 3-year ‘Education for Better’ initiative, of particular interest because of its focus on China. According to Western Union’s Vice President of Social Ventures, Talya Bosch, the campaign demonstrates the company’s commitment to “servicing our customers in the language they speak in ways that are culturally relevant and appropriate.” Largely a digital campaign, this effort successfully capitalizes on the Chinese New Year holiday and Western Union’s obvious tie to monetary gifts.